Valentine's Day is only two days away! If you'll be celebrating but procrastinated, don't worry. 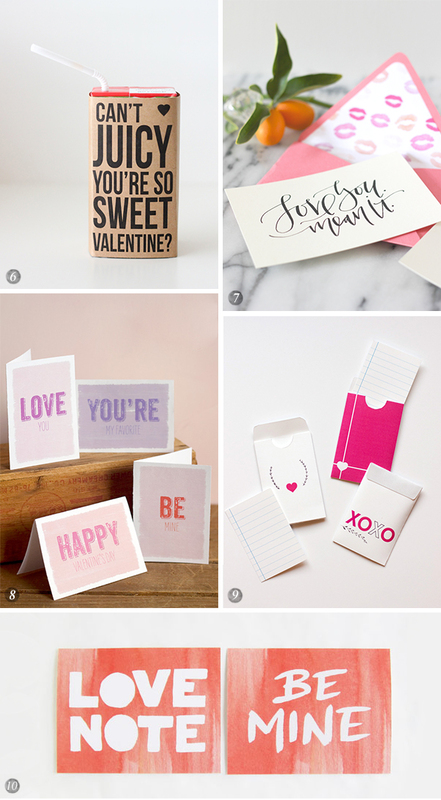 Here are ten lovely (and free) printables to help spread love. I've actually been pretty good about getting all my Valentine business taken care of in a timely manner this year, but this is such a great round up! I just love that kind of lettering (in the first photo)!!! I'd totally love to learn how to do that.